Editor's Note: The UK press were given an exclusive preview of the dCS Vivaldi One, in the run-up to the Munich High End show, but were under strict embargo not to divulge details until the morning of the show. The new £55,000 Vivaldi One is essentially like folding the transport, DAC, and upsampler of the dCS Vivaldi into a single box that stands just over an inch higher than the existing transport. It delivers comparable performance to the three separate boxes, and the new finishes look outstanding in the flesh. We hope to look at one soon. CAMBRIDGE, UK: dCS proudly announces Vivaldi One – a limited edition digital music player specially designed to mark the company’s thirtieth anniversary. Limited to just 250 uniquely numbered pieces, it puts an integral CD/SACD transport alongside the latest dCS Ring DAC in a single box, together with state-of-the-art network streaming functionality. Wholly designed and manufactured in Great Britain, Vivaldi One’s aerospace-grade aluminum casework comes in a choice of three exquisite finishes, never before seen on dCS products. The Gloss White and Piano Black versions are finished by HQ Lacquer, a family-owned British business of over three decades’ standing, famed for its high quality finishes. After meticulous paintwork, multiple lacquer coats are applied and then heat-cured for days, for glass-like smoothness. Alternatively, Vivaldi One can be supplied plated in Decoplate™ 24K Gold or other precious metal by FH Lambert Ltd., the world-renowned specialist in decorative metal plating. This highest grade of gold plate confers a lavish, opulent feel and accentuates the fascia’s subtle curves. 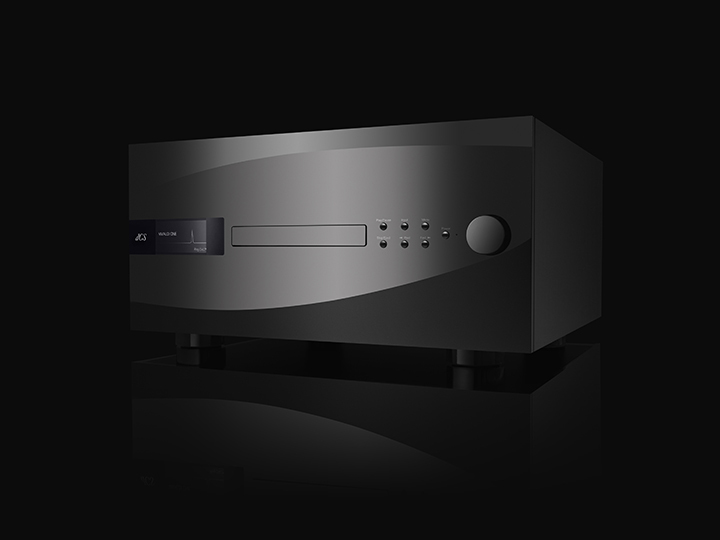 Vivaldi One features the Esoteric VRDS Neo™ SACD-capable transport, allied to the latest generation dCS Ring DAC. It first appeared in high end dCS studio equipment nearly three decades ago, and has been continually refined and improved since then. Effectively a digital signal processing computer, the dCS Ring DAC and Digital Processing Platform runs PCM up to 24-bit, 384kS/s, DSD up to DSD128 and DSD in DOP format. Vivaldi One also supports all major lossless codecs including MQA. Driven by custom-designed software running on Field Programmable Gate Array (FPGA) chips, Digital Signal Processing (DSP) chips and a microcontroller system. 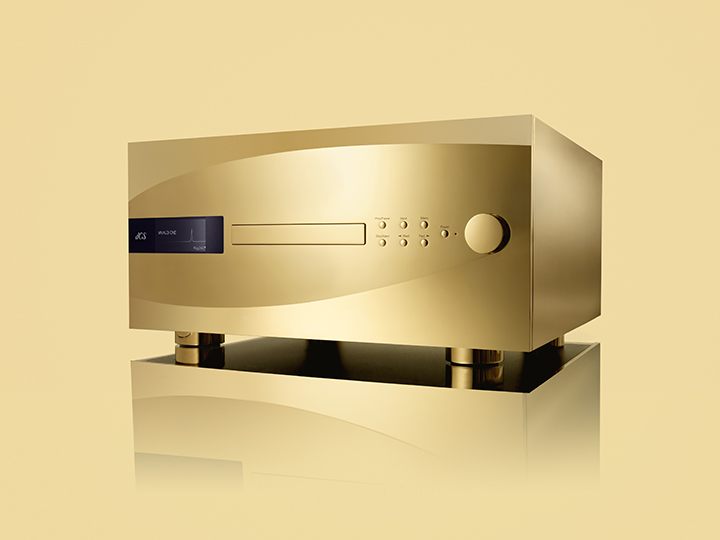 Offering twice the logic capacity of previous generations, Vivaldi One houses the latest 2.0 Ring DAC with double speed mapper, making it the highest expression of the dCS art. The result is an extraordinarily translucent sound, giving an exceptionally realistic window on the music being played. Reflecting the unique nature of Vivaldi One, each piece is personally supplied to the customer by an expert dCS engineer, who will configure it to get the best possible sound. Its extensive networking capabilities – including its ability to stream music from NAS drives and online services such as TIDAL™ and Spotify Connect™ over Ethernet, from Apple devices via Airplay™, and audio via industry-standard USB, AES and S/PDIF digital inputs – will be carefully configured to the customer’s needs. 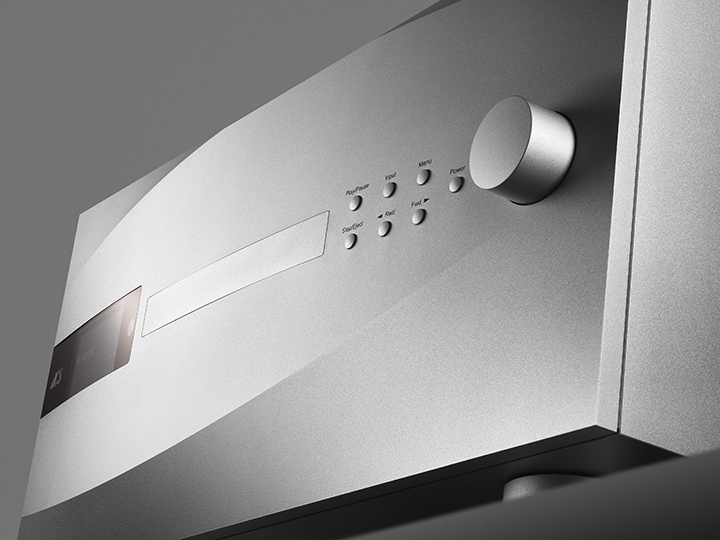 Commemorating the company’s thirtieth anniversary, Vivaldi One also comes supplied with a specially curated music collection, reflecting the musical passions of the dCS designers, engineers and technicians who created Vivaldi One – plus an engraved plate showing its individual serial number. Handmade in the United Kingdom, Vivaldi One embodies all that’s best about dCS in one beautifully crafted box. It is built to last, and perform to the very highest standard for many decades to come. This timeless piece retails from £55,000, and is available from June 2017. • Built-in Roon Ready, TIDAL, Apple Airplay and Spotify Connect functionality. • Vivaldi One’s control app lets listeners manage their playback from any source. • Network streaming section runs at up to 24-bit, 384kS/s and DSD128, supporting all major lossless codecs (including MQA), plus DSD in DoP format and native DSD.